The consequences of a mild, dry winter come in all shapes and sizes, including small, black bugs that love to burrow into human skin. The consequences of a mild, dry Alberta winter come in all shapes and sizes, including small, black bugs that love to burrow into human skin. If a cold snap fails to wipe out some of the now dormant population, the blood-sucking parasites will be out in droves this spring, according to Daniel Fitzgerald, a parasitology expert with the Alberta Department of Agriculture and Forestry. Fitzgerald said more than twice as many ticks as usual have been spotted across the province so far this season. From Lethbridge to Red Deer, there have been reports of the small spider-like creatures for the past couple of weeks. "Because the winter started later, they had more time to get ready for winter," Fitzgerald said in an interview on CBC Edmonton's Radio Active. "And because the winter didn't get really cold and kill the ticks hiding in the grass, they're more ready to wake up in the springtime and go out and get a meal." 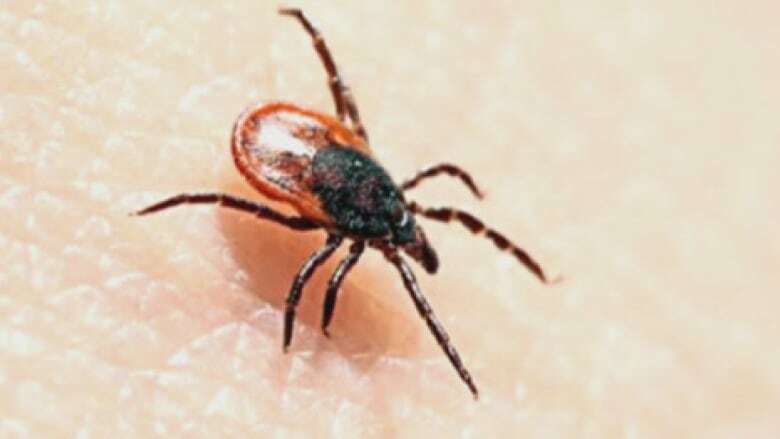 There are many types of ticks in Alberta, including moose ticks, Rocky Mountain spotted ticks and black-legged ticks. Although most ticks don't cause health problems, it's important to take precautions; cover up before travelling in wooded areas, and remove the pests immediately to avoid potential infections or disease, including Lyme disease. Fitzgerald said it's easiest to use tweezers to remove the whole tick if it becomes attached to you or your pet. "You don't want to grab the body, you want to grab it down where it connects with the body," said Fitzgerald. "You want to avoid squeezing whatever's in the tick, into you." It's always best to send the critter in for testing to determine if you've been exposed to any infection and make sure it's safely disposed of. "Or you could stomp it out and curse it," Fitzgerald said with a laugh.